Gray Stripe Denim Tote Bag Just $26.99! You are here: Home / Great Deals / Gray Stripe Denim Tote Bag Just $26.99! Love this tote! Order the Gray Stripe Denim Tote Bag for Just $26.99! 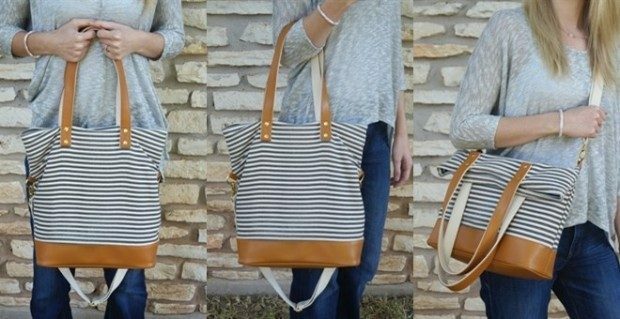 “The Mod” by White Elm Boutique is a versatile tote bag that has a quite a bit of space and can be worn over your shoulder or cross-body with the long adjustable strap. The soft poly-cotton denim is washable if it gets dirty and the interior lining is a neutral colored cotton. Gray stripes are classy and will be easy to match with your fall wardrobe.